I wrote this blog more than a year ago, but I continue to encounter people who haven’t mastered the art of listening. These people would prefer to talk over actively listening. The short anecdote below illustrates what I mean. I recall a time when my father was shopping for a car. In his mind he had a series of questions for the eager salesperson—who had been trained to go over all the bells and whistles with the potential buyer—and wanted clear, concise answers. The salesperson proceeded to introduce himself and launch into a monologue on all the interior features of the car, before my father even had a chance to ask about the performance of the car—the engine’s power and mileage. My father could have cared less for the seat warmer, radio controls on the steering wheel, and climate control. Needless to say the sales person didn’t have a chance to get my father to take a test drive and certainly didn’t get good ole’ Dad into the buyer’s chair. The sale was lost before it began, and it’s too bad because my father was a willing buyer at that moment. The sales person had failed at the art of listening. The art of listening is never as imperative as it is when you’re at a networking event. Those who attend these meetings know that one of the main goals is to show your willingness to listen and share advice and information. Here you must not only acknowledge the person with whom you’re speaking by maintaining eye contact, smiling, holding a firm posture, etc. ; you must also process the information for follow-up conversations, if appropriate. Thus, active listening is an essential component of networking. The appearance of listening is not only important; actually hearing what the person is saying is paramount. One of the tricks to help you remember what someone says is to jot down notes on the back of the person’s business card, much like taking handwritten notes at an interview. But mainly you must enter a conversation with complete willingness to listen, resisting the urge to speak until it’s your turn. Many people are formulating what they’re going to say and, therefore, are not actively listening to the person with whom they’re speaking. The art of listening is just as important when you’re engaged in superficial networking. Let me give you an example of a recent interaction I had with a basketball dad who will be out of work in a week’s time. He will be looking for a new position in engineering in the defense industry. Even though I was there to watch my son play ball, I was listening to the man’s current situation, what type of company he’d like to work for next, what his skills and strengths are, etc. I now have my antennae up and will certainly keep my ears to the pavement for him. Some believe that more jobs are gained through superficial networking than organized networking. Who make better listeners, introverts or extraverts? Extraverts are better verbal communicators and feel more comfortable “working a room,” whereas introverts prefer the intense one-on-one conversations with a few people. Hence, introverts will give you that undivided attention and process more of what you say. This is the theory, at least. I’m an introvert and wouldn’t necessarily say I’m a great listener unless what the other person has to say is of great interest to me. I work with extraverts who are great listeners, though they tend to talk a lot. So this theory is a generalization at best, in my mind. Listen and follow up. Master networker Joe Sweeney, Networking is a Contact Sport; harps on the importance of follow-up. To keep people in your network, whether in business or in the job hunt, you must follow up with the people you meet. Without listening intently to what they say and jotting down notes on the back of their business cards, this can be difficult when it comes to recalling a conversation you had four days ago. How uncomfortable would it be to call someone you met at an event and say, “Hi, Bob, I’m just calling to follow up on our brief chat the other night, but I can’t remember what we spoke about”? It would be very uncomfortable. Sweeney writes, “Be a great listener and ask open-ended questions. Remember, God gave you two ears and one mouth, so use them in proportion.” I think this sums up the importance of listening when it comes to networking. I’ll reveal my little secret. I sold cars as a young adult. I was terrible at it for various reasons, but one thing I knew how to do was wait for the customer to tell me what he was looking for in a car. I resisted the urge to launch into the benefits of the Subarus I sold. For this reason, I never had someone walk away before a test drive. It was during the test drive that I lost many of my sales. 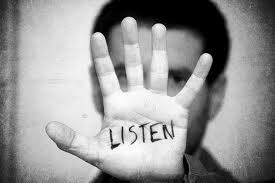 We all have to realize that listening is key in effective communications, whether we’re selling cars or networking. This entry was posted in Career Search and tagged active listening, business networking, Conversation, introverts, Sales on January 17, 2014 by Things Career Related. Great post, Bob. Thanks for that! Bob- This is a great example of why listening to actually listen (versus listening just to reply!) is so important in the workplace. Thsnks, Erin. I’m sensitive to people who don’t listen, therefore I try to listen…actually listen. I’m not always successful.